Has Your Church Closed or Merged? Are You Under Study Now? We, the parishioners of St. Joachim in Frankford, have learned that there are system-wide flaws in the Archdiocesan Parish Pastoral Planning Process! 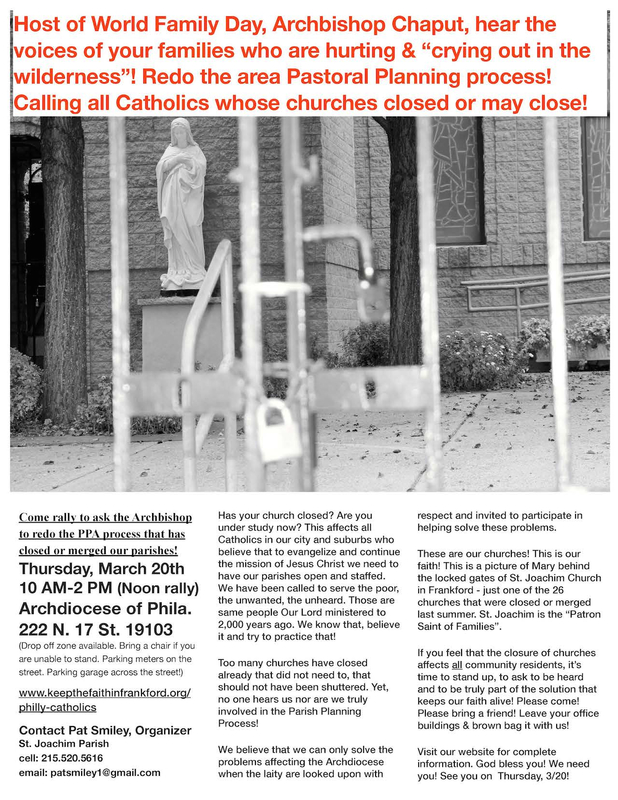 Please join us for a rally on Thursday, March 20, to ask the Archbishop to redo this process. Here is more information. See you Thursday! 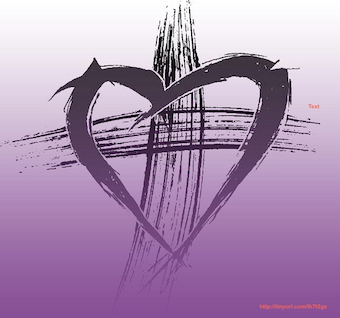 Sharon Browning Presents a Lenten Evening Not To Be Missed! As you know, Keep the Faith in Frankford, has many active committees working to continue and promote the Catholic presence in Frankford. 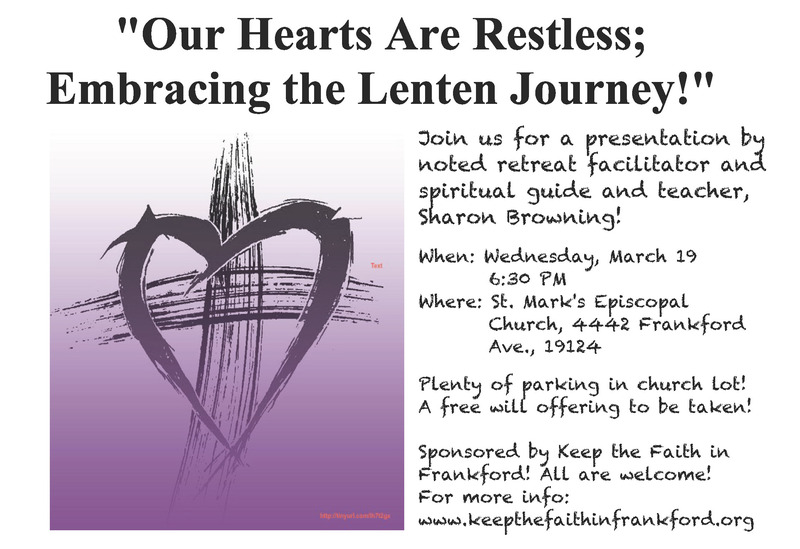 Our Rebuilding the Parish committee has engaged Sharon Browning, a local retreat faciliatator and spiritual guide and teacher, who will present an evening titled “Our Hearts Are Restless; Embracing the Lenten Journey!” To learn more about Sharon, please check out her website, JUST Listening. This time of year can be so filled with energy and new life, not simply because we are excited about spring, but as we travel and relive the last days of Jesus here on earth, it offers us an opportunity for us to experience new life and a “resurrection” from self. Jesus has called us to conversion – not to think about ourselves – but what gifts we are able to share with others! Matthew 22:1 says “Love your neighbor as yourself”. We can forget that we must first of all, show ourselves the love and compassion that recognizes that we are beloved children of God. Then, we reflect that love and compassion to all we meet. Then, we are fully alive and sharing in the mission of Jesus! We are creating a better world for all! Please join us! Bring your family and friends for what is sure to be a rewarding evening! Please share this information and all are welcome to attend. We look forward to seeing you!